a small hotel ... It was small and dark, but it was ok. The bed was confortable. Our place is perfectly positioned in the main commercial zone of Milan, in a quiet small road few meters away from Buenos Aires avenue , the favourite city's shopping area. Our english-speaking staff will be pleased to welcome you in our hotel, just 5-10 minutes walking from the central railway station. We have a very good access to Milan's tube system, and you'll get in Duomo square in just 4 stops (5-10 minutes). All the rooms, recently renewed, are provided with private bathroom and shower, television and air conditioned/heating system. Don't hesitate, the rates are real! Book now! From the A4 Torino-Trieste highway, take exit Palmanova and follow the indications to Milano centro. Continue straight ahead until piazzale Loreto and then onto corso Buenos Aires. When you get in Lima square, turn right in Vitruvio street and then immediatly left in Tadino, our place is at number 27. From the A1 Milano-Napoli highway, proceed in the Venezia direction and exit at piazza Corvetto. Take corso Lodi until Porta Romana and turn right at viale Caldara. Continue on corso Buenos Aires and follow the indications above, but please note that you will have to turn on the left in Lima square into Vitruvio street. The Milano Centrale railway station is 800 metres from the hotel. Take bus number 60 or tram number 33 directly to the hotel. You can even arrive to our place with a short walk. From Milan airports/Orio al Serio, take the airport shuttle/Autostradale bus to Milano Centrale railway station and continue by bus or by foot. All the rooms provided with private bathroom, shower, television and private air conditioned/heating system. All the rooms have been recently renwed, and are provided with private bathroom, shower, haidryer, flat screen TV and private air conditioned/heating system. 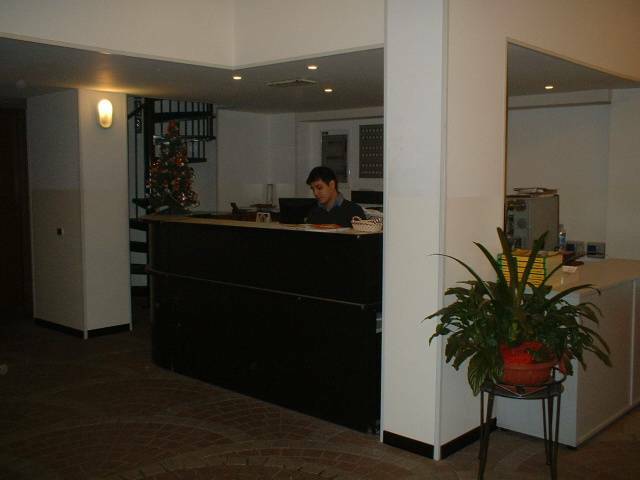 24-hours front-desk, english-speaking staff. Our place is located in the main commercial zone of Milan, just 100 meters from the most important shopping avenue in the city. We are even 4 subway stops from the historical center! You will be required to guarantuee your booking with your credit card details. We operate a 48-hour cancellation policy. It is possible to delete the booking until 48 hours before the arrival time. Late cancellation or non-arrival will result in the charge of one night's accomodation. Our place is very near to all the three subway Milan lines. We are in a very good position to use the surface public transport and the shuttle from Malpensa, Linate and Bergamo Orio al Serio as well. Nearest airport: Very well connected with all the Milan airports (with shuttle service: bus stop in central railway station, 10 minutes by foot from the hotel).